Home/Food/Get an instant bigote when you drink Slurpee! Get an instant bigote when you drink Slurpee! Drinking Slurpee has never been this fun! 7-Eleven Philippines recently launched their quirky limited edition Slurpee Mustache Straws! 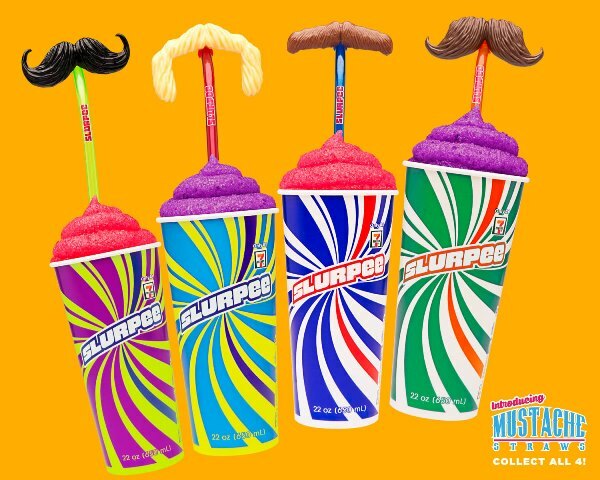 Slurpee lovers can now enjoy the iconic drink and take SLURPfies to the next level with these fun ‘staches that come in four different designs. “Slurpee” was first introduced in the market in the 1950s, an accidental creation from a broken soda fountain. From this incident, Omar Knedly, an American businessman and inventor, created machines that produce the so-called slushy drink. Originally termed “Icee”, 7-Eleven coined the term “Slurpee” in the 1960s to give the product a unique and catchy sound among consumers. Since then, Slurpee was exclusively sold by 7-Eleven stores and was then only available for local consumption in the United States. Slurpee was introduced in the Philippines in 1984, the year Philippine Seven Corporation, the local franchisor of global chain store brand 7-Eleven, opened its first store in the country, and has been serving new and classic flavors like Fuji Apple, Raspberry, and Bubblegum. Customers can now enjoy the Classic Cola Blast, back by popular demand, and the new Watermelon Lime in all stores serving Slurpee. Just add P49 to get one Mustache Straw design when you buy any size of Slurpee. 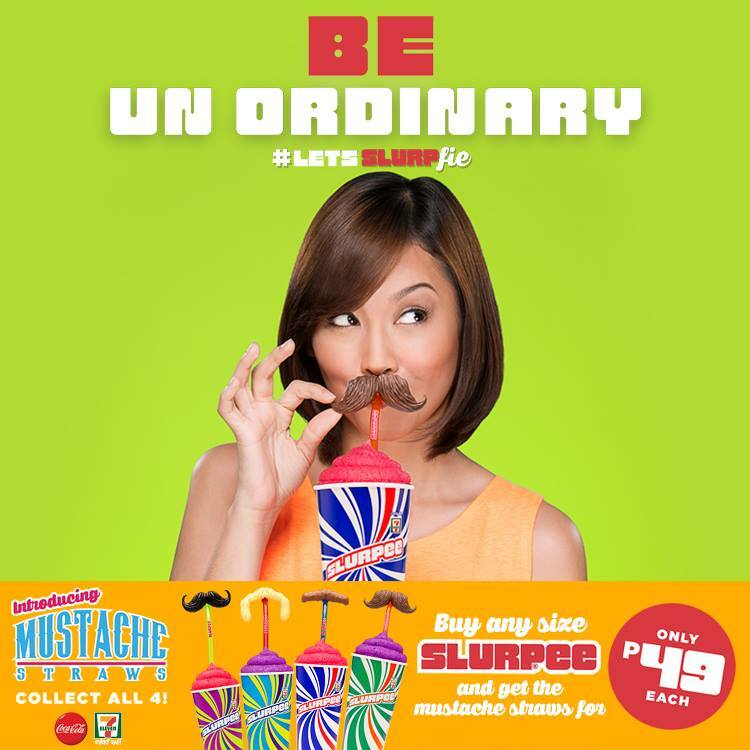 So hurry, grab your own Slurpee Mustache Straw, strike your best bigote pose, and #LetsSLURPfie! Check out the hashtag on Instagram to find out who’s gotten into the mustache craze!